When they aren’t cheering for their Penguins, Adam and Mike have been busy assembling a gay team in Pittsburgh. 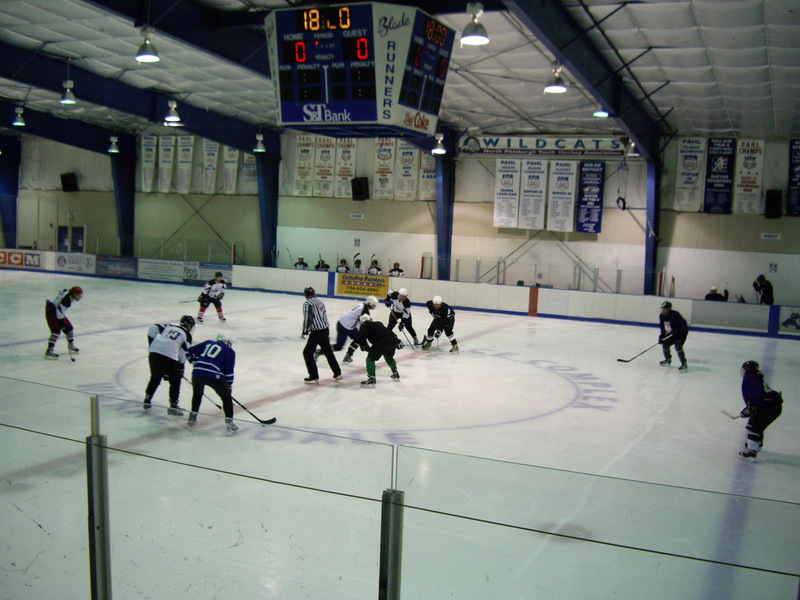 It seems fitting that on the day following the You Can Play launch, their Tigers took to the ice for the first time. They play through mid May and their next game is March 19. You can follow their progress here and hopefully with additional game updates from Adam, who wears the “A” and Mike, Tigers Captain. 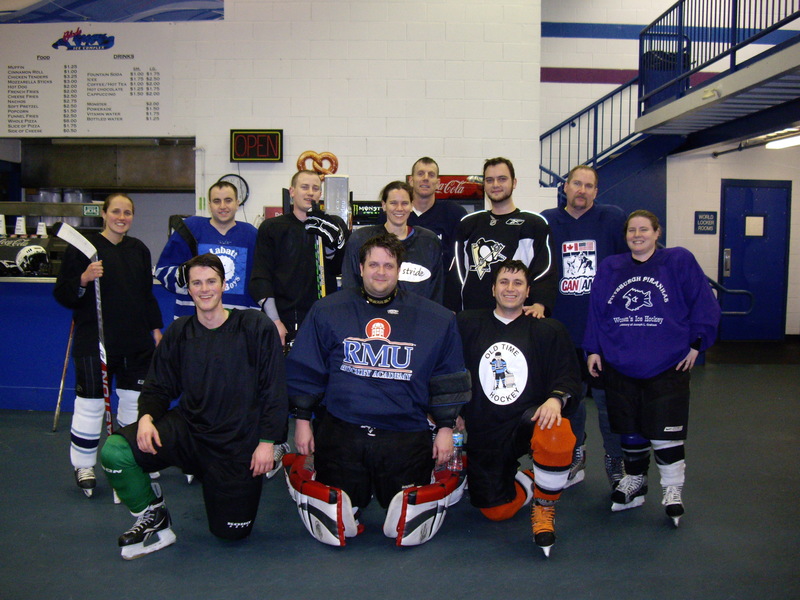 As some of you know, one of the things that I, along with Mike, was looking forward to doing here in Pittsburgh was getting a gay hockey team together to play in local leagues. We tried for the fall, but no rinks had any available space, and we only had around 4 or 5 people who were definitely interested in lacing up. Luckily, we were able to land a spot in a league in Warrendale, a little north of Pittsburgh (basically in the suburb of Cranberry). With recruitment that took the form of Meetups, word-of-mouth referrals, and even a Craigslist ad that resulted in 2 new players on game day, we put 11 skaters on the ice for the very first time on Monday, March 5. Mike and I got to the rink quite a while before the game to welcome folks aboard and catch the Pens game (Michalek SMASH, Phoenix!) since none of us really knew each other, with the exception of a girl who played with us in New York. And the name of our team, the Tigers, comes from the team in the New York Gay Hockey Association for which Mike and I played. So, this merry bunch of strangers — native Pittsburghers, a Montréalais (but he’s Anglo, so I had to hassle him), and a Hoosier in myself — took the ice against what turned out to be a well-oiled machine of an opponent that has been playing together for quite some time. Us? I’m the only person who has been skating regularly, and some of the people hadn’t played in the last six or seven years. 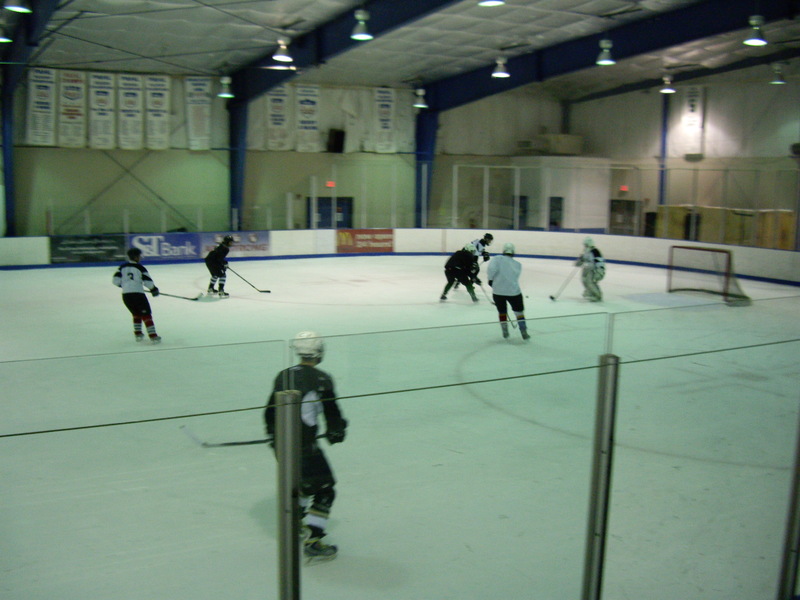 Most hadn’t touched the ice in a year or two. But they all came out because they wanted to play on a team that made them feel comfortable, to play with people who understood them just a little bit more than previous teammates. We lost. 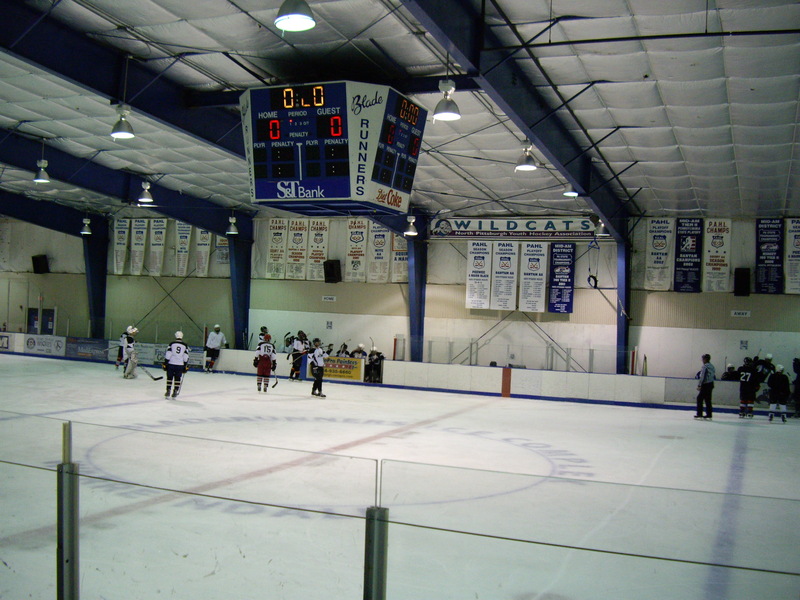 The game was scoreless until around 6 minutes into the 2nd period when they scored. The Pond Stars added another to go up 2-0, but I was lucky enough to fire a wrister over their goalie’s glove from the left circle to pull us back within 1. Unfortunately, they rattled off 8 more, despite our goaltender’s valiant effort. While we kept up early, the rust really started to show, and we frankly were tired. But despite the fatigue, despite the score, despite the refs somehow not calling at least a penalty (shot?) 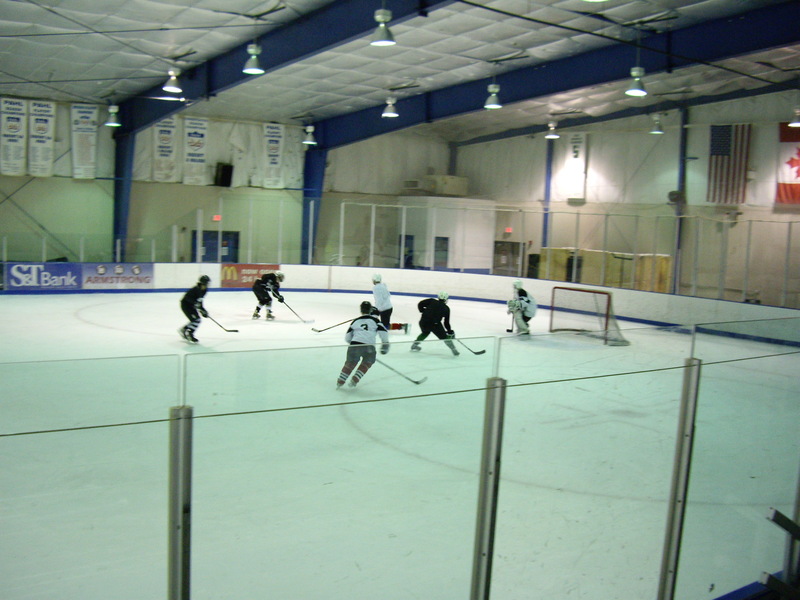 when I tucked the puck across the goal line as the defender deliberately knocked the net off of its moorings…not a single person held his or her head low. It was honestly one of the most fun games I’ve ever played, and I think the rest of the team felt the same way. Once the game was over, we headed to the locker room for the usual tradition of beers while peeling off the sweaty, heavy equipment and hopping into a shower of questionable cleanliness. We were men, women, and trans. Gay, bi, and a couple of straight allies. We were, in short, the Tigers. And we take the ice again in 2 weeks. Bring it on, folks, ’cause we’re just getting started. This entry was posted in Gay Hockey Leagues and tagged Gay hockey teams, Tigers. Bookmark the permalink. 7 Responses to Let’s Go Tigers! Great to read the story of the first game. Mike, glad to see you in Tigers socks! I want to come down and play with you guys sometime. Hope you guys can all make it to the Chelsea Challenge! Would be great to see you there. We will definitely be there. Hoping to be able to bring the whole team over, but we’ll see how that goes. Awesome! Glad to have another gay friendly team out there. The LA Blades send their best! Thanks, Peter! Hopefully we can make it out to LA for the tournament at some point. If you’ve seen my previous posts, you’ll note that I quite enjoyed my experience there (made all the better by the Penguins taking the Kings out).